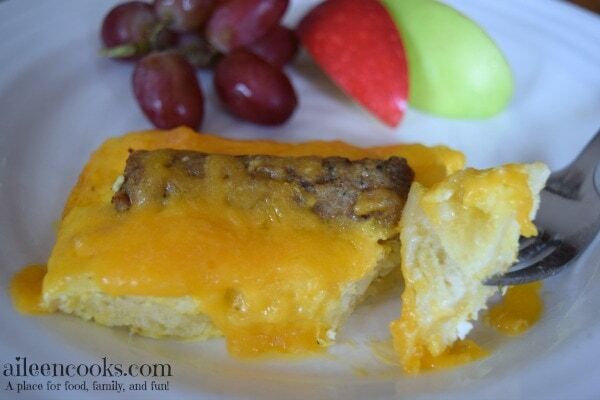 This recipe for egg and sausage breakfast casserole was originally shared with me during my single days of working in the city. I was attending a Christmas morning brunch and was supposed to bring a dish that could feed a crowd. I was not much of a cook in those days. 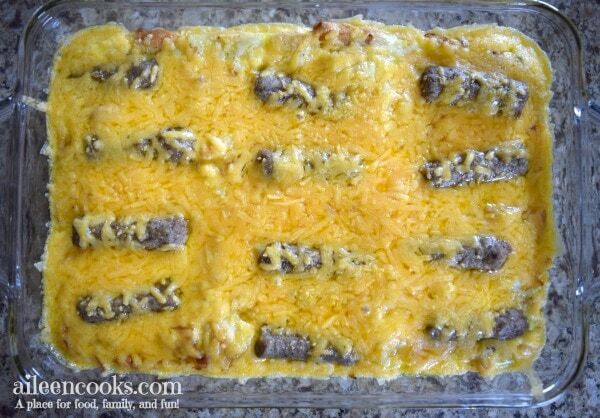 A friend mentioned she had a recipe for an easy and filling breakfast casserole. Her dad made it every year on Christmas morning while she was growing up. In fact, he made it the night before and refrigerated it. This was a totally new concept for me! I was excited to be able to bring an actual home baked meal and not have to stress over making it first thing in the morning. As I mentioned above, you can prepare this casserole the night before and pop it in the oven in the morning. The baked version will also keep in your refrigerator for a couple of days. You may also like Christmas Sprinkle Pudding Cookies. 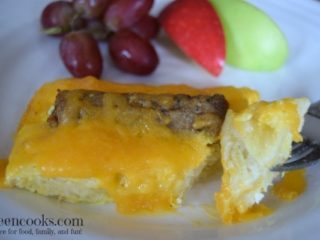 This sausage &egg breakfast casserole may be prepared the night before and refrigerated (covered) over night. Cook the hash browns according to package directions. 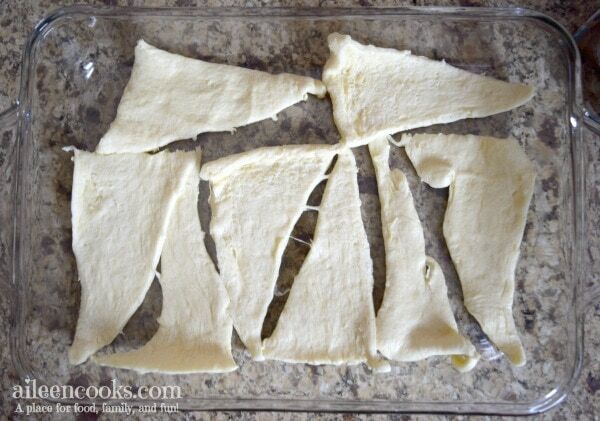 Meanwhile, arrange the crescent roll dough in a single layer at the bottom of the baking dish. 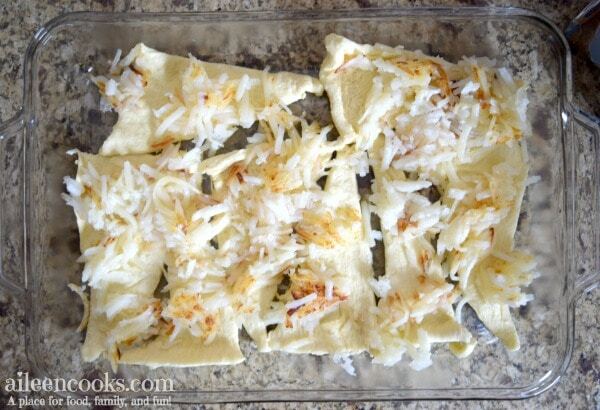 Spread the cooked hash browns over the crescent roll dough. 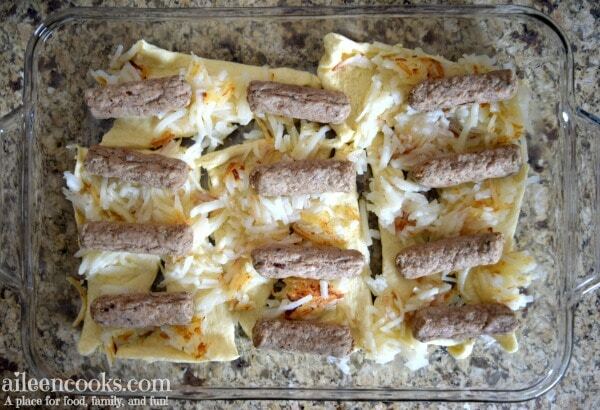 Top the hash browns with the sausage links - evenly spacing them out to create single servings. Whisk the eggs, salt, and pepper together until the eggs are fully blended. 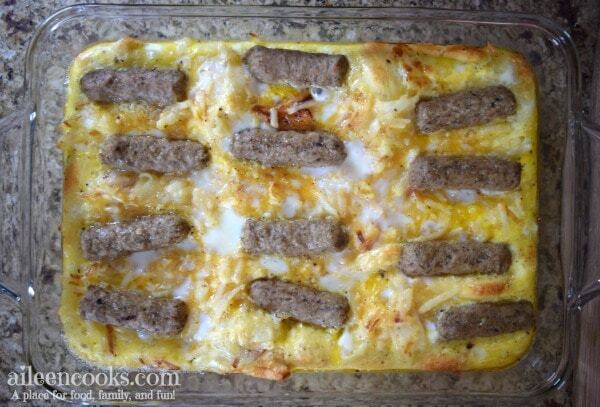 Pour the eggs into the baking dish, over the sausage links. Bake, uncovered for 30 minutes - until the eggs are fully set. 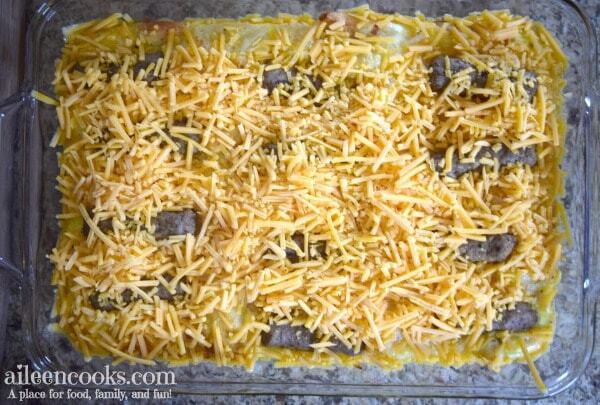 Sprinkle the cheddar cheese over the casserole and return to the oven for an additional 5 minutes. Recipe source: Adapted from a recipe a friend shared many years ago.